We all know we're supposed to communicate as co-parents. We also all have the intention to be the best parents we can be for our children and we want to shield them from the bad things in life. So why do so many couples have a huge breakdown in communication during and post-divorce? There are 3 main reasons for this happening. You'll find those below as well as ways to avoid these communication traps. Why is it important to avoid these traps? Children learn more from what parents do than what parents say. Despite your best efforts in shielding children from the negativity that comes up, children notice it and learn from it. With that said, here are the traps that come up and some tips to avoid them. This is something I hear a lot in my Co-Parenting Coaching practice. He says that he's only responding to her because she said something nasty to him. She says something nasty because he told her something worse. No one knows best how to push your buttons than your ex. After any amount of time together in a romantic relationship, you get to know someone really well and that information is dangerous when the relationship heads south. Here's my tip. Would you rather be right or happy? Who cares if she said it first or he did it first. What if YOU became the first to ignore snide comments, rude gestures or anything else that makes your blood boil? What if your POSITIVE gestures, open communication and refusal to engage in negativity started a new he started it/she started it routine that got you out of the communication trap that you may currently be in? Sometimes the arguments that happen and the breakdowns in communication happen because both parties believe they're right. If this is happening to you, you may feel unheard. You feel like you're just trying to get across why you're right and your ex isn't listening to you (again). You may feel like you've done nothing but prove that you are a good parent and that this is another case of them trying to fight you on everything. Then the arguments start and you both end up shutting down. In order to avoid this from happening, there are several things that help. First, try and consider whether or not two people can be right in the scenario. Let's say the issue is when homework should be done. You say it should be done right after school and your ex thinks it should happen after dinner. You have your reasons as to why doing it immediately is right and your ex has reasons why doing it later is right. Who says only one of you has to be right? What if you have your child do homework immediately at your house and your ex has your child do it after dinner? Homework is getting done and it ensures you avoid another argument. Second, when situations are bigger than what time homework gets done, it's best to keep things in writing. This creates time for you to step back before responding and gather your thoughts so your response isn't based in emotion, it's based in fact. You can't force anyone to do anything, but you can lay out all the options and ask for thoughts on why another way is better. Court has this way of making custody hearings become competition. He shouldn't have placement because he (insert any number of reasons here). She shouldn't have placement because (again, many reasons used). This becomes a way of living for the parents and it's hard to get out of this rut. You are constantly scrutinizing your ex and they are constantly scrutinizing you. What if having both parties involved in your child's life is a good thing? What if you pooled your resources and your positives and used those to raise your child instead of pointing out all the bad? In Co-Parenting classes, when asking parents to name one positive quality their ex has, it may take a while for some, but there are always positive qualities there. Something led you to them in the first place and now it's just a matter of finding that and working on it. Learning 2 ways of doing things isn't all bad. Obviously, kids shouldn't be put in harm's way, but a lot of times, these competitive arguments come down to how much screen time the children should get, when bedtime is, what's considered healthy food, etc. Consider the rule of 10's. Will this matter in 10 minutes? 10 months? 10 years? If it won't, is it worth arguing over? 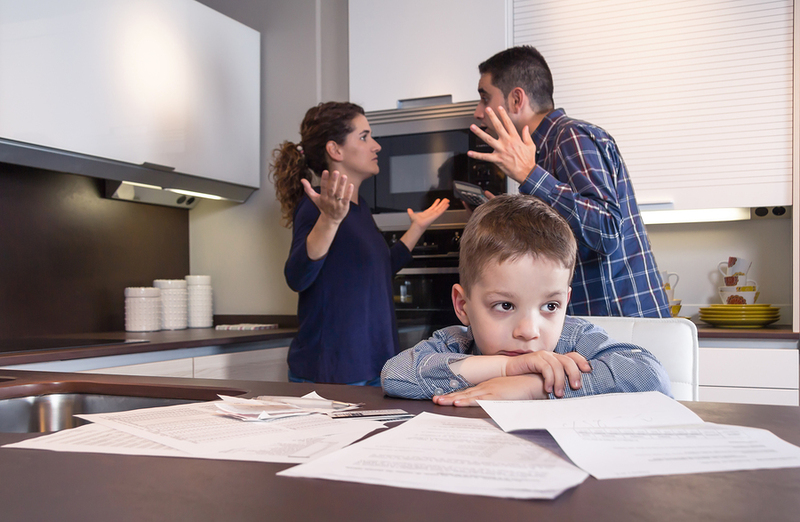 Parenting is hard enough without putting divorce or separation in the mix. The only difference between traditional parenting and co-parenting is that traditional parenting is between people in a romantic relationship. That's it. Co-parenting is still raising kids, together, and these are just some of the tips to help get that done.